Rotating paddlewheel flow transmitters are sensors with electrical transmission output for remote indication of liquid flow rate. Flow through in-line models are available in this category. Applications vary from HVAC systems, to cooling and lubrication circuits, and to chemical proportioning or blending. 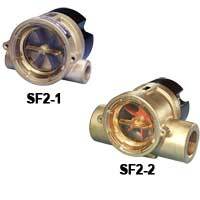 Sight Flow Indicator/Transmitter is low cost and durable. Applications include monitoring chilled or hot water flow, HVAC systems, cooling and lubrication circuits, and monitoring water flow in chillers. 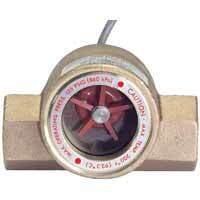 Sight Flow Transmitter can display flow or contents of pipelines. Applications include HVAC systems, cooling and lubrication circuits, batching systems, and aggressive chemical metering. 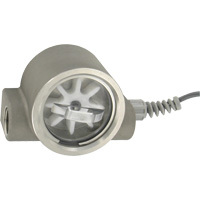 Sight Flow Indicator/Transmitter is low cost and durable. Applications include cooling and lubrication circuits, HVAC systems, aggressive chemical metering, and batching systems. 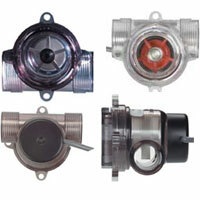 Sight Flow Meters combine visual confirmation of flow with a relay. Compatible with most digital logic families. Applications include HVAC systems and batching systems. Digital Paddlewheel is economical for application where liquid flow measurement is wanted. Applications include liquid monitoring, chemical proportioning or batching, and laboratory equipment.